For valuable consideration received, I hereby grant First Aid to Save a Life Pakistan the absolute and irrevocable right and permission, in respect to the videos/photographs that they have taken of me or in which I may be included with others, to copyright the same, in their own name or otherwise; to use, re-use, publish, and re-publish the same in whole or in part, individually or in conjunction with other videos/photographs, and in conjunction with any broadcast or printed matter, in any and all media now or hereafter known, and for any purpose, whatsoever, for television, illustration, promotion, art, advertising, multimedia presentations and trade, or any other purpose whatsoever; and to use my name in connection therewith if they so choose. I hereby release and discharge First Aid to Save a Life Pakistan from any and all claims and demands arising out of or in connection with the use of the videos/photographs, including without limitation any and all claims for compensation, libel, or invasion of privacy. 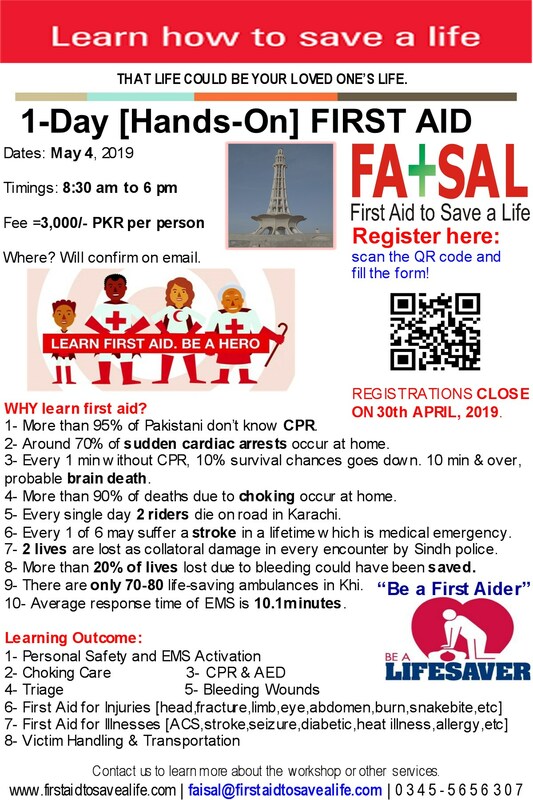 This authorization and release shall also insure to the benefit of the heirs, legal representatives, licensees, and assigns of First Aid to Save a Life Pakistan, as well as the person(s) for whom they took the videos/photographs.